Do You Have An Accurate List of Member Emails? In any given day, you can read an article that trumpets, “Email is dead!” and a competing article that claims, “Email is thriving!” This can make it tough to know exactly what to believe regarding email communication. When it comes to your elections, however, we’ve found that email is alive and well, with many benefits for member organizations. Does your organization have an up-to-date member email list? Email is vitally important to member organizations due to its ability to instantly reach just about any member, anywhere in the country (or the world). Email can also save an enormous amount of money and, in some cases, eliminate the need for expensive physical mailings. In fact, email is still one of the most trusted and effective forms of marketing available. 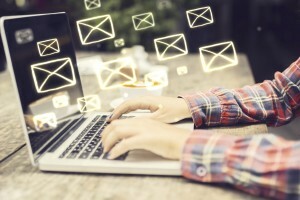 More than 75 percent of consumers choose email over other online channels and 80 percent of marketers report email as their strongest performing channel, according to recent studies. If your organization uses email tracking programs, you also get the benefit of knowing who viewed and interacted with your messages as well as who isn’t receiving them. Having an accurate email list of members means you also have an accurate list of voters to reach via email in your next election. Many organizations only mail ballots to members without an email address on file, saving you a tremendous amount in postage costs when you have the ability to reach voters through email. An accurate email list also ensures as many ballots as possible are delivered and cast. In your routine contacts with members leading up to an election, give them a clear and simple way to confirm or update their email address. Make your request(s) obvious so members don’t skip past it. Update ballots (mailed and online) to include the ability to add an email address. An online field for members to “Get an email confirmation of your vote” allows voters proof of their ballot submission while ensuring the email you have on record is up-to-date and accurate. Email is not dead – make sure your members get the message, especially ahead of your important election. Take the time now to clean up your member email list and keep it updated throughout the year. It will pay off in many measurable ways. Have questions about using email for your election? Ask us anything. We’re here to help.